Record Store Day returns for its 12th year this weekend (Saturday 13 April), and 6 Music will be marking the occasion with a host of programmes for vinyl lovers. Mary Anne Hobbs kicks things off with a live show from the legendary Jumbo Records in Leeds on Friday 12 April, from 10.30am, featuring special guests and an exclusive RSD mix from The Chemical Brothers’ tour DJ James Holroyd. On Saturday, Radcliffe and Maconie, Huey Morgan, Liz Kershaw, Craig Charles and Tom Robinson will all be celebrating Record Store Day by showcasing their own vinyl collections. To get you in the mood, we’ve put together a special Record Store Day mix, featuring a selection of artists responsible for this year’s most sought after RSD releases. 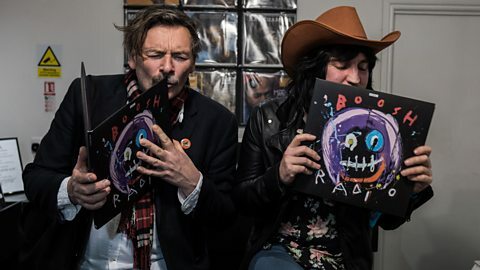 It includes tracks from Iggy Pop, Broken Social Scene, Courtney Barnett, Otis Redding and clips from The Mighty Boosh’s first radio series in 2001 (The Mighty Boosh have just been announced as the UK ambassadors for this year’s event). 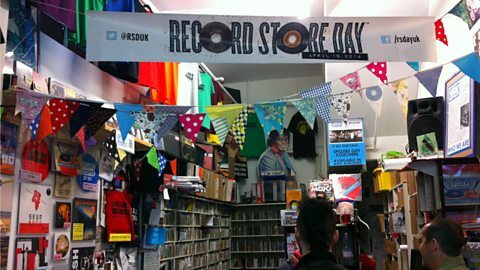 Ahead of the big day, 6 Music's Jon Hillcock recommends six ways to make sure your Record Store Day is one to remember. With over 500 releases this year, there’s plenty to look out for. But if you’re serious about nabbing that Elastica BBC Sessions vinyl or the IDLES Meat and Meta EPs, the latter of which are being pressed on wax for the very first time, then you’ll need to do your research first and have a plan of attack. "It’s so easy to find out what’s stocked and where," Jon says. "I have quite a long list this year. There’s a four-track Wipers seven-inch that I’d be quite up for getting hold of, an X-Ray Spex anthology that I think would be nice. There’s also good Soul Jazz Records boombox compilation. The Lost in Translation soundtrack has never been out on vinyl before and that’s one of the all-time great film soundtracks. There’s an Iggy Pop seven-inch that includes songs from an old obscure cartoon. "One that I’d love but really think is going to be hard to get is Otis Redding with Booker T live at the Monterey International Pop Festival in 1967. It’s one of the greatest soul performances of all-time, having that on vinyl would be the dream. I’m not expecting to get it, but if I saw that then it would be great." Be prepared for disappointment, though. "The most collectible artists - the likes of David Bowie and Madonna - are going to go really quickly," Jon adds. But if you really want something, stay determined: "Follow your heart over your head." Lammo spoke to the people behind Jumbo Records in Leeds for Record Store Day in 2013. Jon acknowledges that recent years has seen increased criticism facing Record Store Day, particularly of some labels favouring gimmickry over substance. He says: "There are definitely examples of labels going, 'just stick something on a bright pink vinyl and that’ll do'. Be wary of things like that and buy only what you genuinely know that you want." It’s true: it's easy to get caught up in the occasion on Record Store Day and end up spending money on things that you impulsively bought on the spot because you felt the pressure of the crowds. "There are a lot of records that I’ve bought on Record Store Day in the past that I’ve never listened to," Jon admits. "I have an Animal Collective 10-inch that is still in its plastic. Though I like collecting records, I’m not the type of person to put them on display unopened. I’m more into buying records to play them." So, the rule for Jon is simple: if you know you’re not going to listen to it, don’t buy it. Instead, leave it for a customer that will really appreciate the rare vinyl release that would otherwise be unloved in your own home. It may come as a surprise to many vinyl fanatics, but not everyone enjoys the pastime of studying sleeves of obscure LPs to see what bonus tracks are on offer. In fact, Record Store Day isn't for everybody, and Jon says Record Store Day is best enjoyed when it's like a music lovers' meet-up. "I did take my children one year," he recalls. "That wasn’t good, they got bored quite quickly. They were like, 'Daddy, when are you going to stop? Why are you looking through that rack again? You’ve already looked through those.' It wasn’t a good idea." If you're the only record lover in your friendship group then don't worry, Record Store Day is a great place to meet like-minded souls. "Make new friends in the queue," Jon suggests. "Get to know the people around you. See what they’re after. Do trades and deals, like ‘if you see that, you can swap with me for this.’"
In past years, Jon has turned Record Store Day into a treasure hunt, one that has seen him trekking across the whole of London in search of prized possessions. He tells us: "When I first went to Record Store Day years ago, I queued from about 7.30am, starting at Rough Trade West in Notting Hill, then travelling across to Sister Ray and a few other shops in Soho, before ending up at Rough Trade East. I did a whole trip across London. I was super into the idea of collecting as much stuff as possible." But why not go a step further and venture away from the place that you live? Pick a town or city you've never been to and make a mini holiday out of it. "There are more record shops popping up now than there have been in a long time. There are also more and more record shops taking part, up and down the country, it doesn’t have to just be in the big cities," Jon says. You can see a full list of the UK record shops taking part here. For inspiration of where to head this year, Jon suggests The Drift in Totnes, Pie and Vinyl in Southsea or Soul Brother Records in Putney. If you're not too fussed about picking up that in-demand limited edition EP that was only released in Japan, then allow yourself to discover things by chance instead. Jon says that Record Store Day represents "the ritual of flicking through the racks and finding something that grabs you purely from its sleeve, or hearing something playing on the shop stereo". It's about "uncovering a new artefact that you can put on your shelf, something that holds special value and represents a specific time and place, which becomes part of your personal history." "Another way of approaching Record Store Day is turning up at a more humane time and sauntering in," he points out. "Treat it like a festival. Some of the best things you see at festivals are the things you didn’t know about before you went. Go in with an open mind and you might discover music that you wouldn’t necessarily have sought out, but end up loving." Even though at its core, Record Store Day is all about the unbridled joy of record shopping, the day itself has grown to encompass so much more. For 2019's edition, there are loads of offshoot events taking place to mark the festivities, including food and drink stalls, craft fairs, in-store gigs and DJ sets. 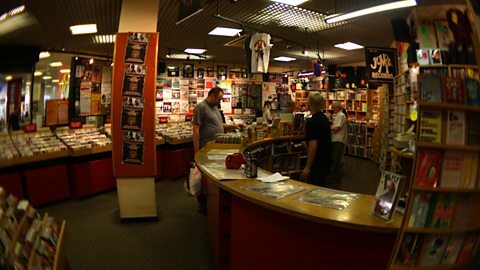 Jon describes it as "one big party in a record shop for an entire day," adding: "It’s a huge event that happens from the moment that doors open until the moment they close. The shop is full like no other day in the year, it’s bigger than Christmas!" While it may have its detractors, Jon says that when he has spoken to music shop owners themselves, many have said that Record Store Day remains a positive for their businesses. While pointing out that it's important to visit record shops more frequently than just one lone day a year, the party atmosphere of Record Store Day can actually help convert those that wouldn't usually venture into an independent music shop. "To get that many people into record shops and for people to walk past and see a crowd of people clamouring to get in, most people are curious enough to think, ‘what’s going on there? I’ll go have a look’. There’s a buzz around record stores on Record Store Day, a place on the high street that's generating interest for those passing by who might not have otherwise popped in." What makes a great record shop? 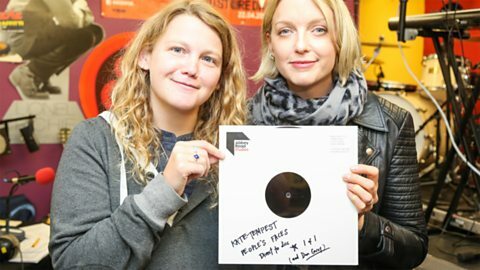 Ashli Todd from Spillers, the world's oldest record shop, joins us for Record Store Day. Jon says: "Download it on BBC Sounds. Listen to it while you’re in the queue. Don’t listen to it in the shop because you need to hear what’s being played in the store, but you can always listen when you’re on your way home with your purchases." Listen to 6 Music on BBC Sounds, or find out other ways you can listen.